I recently taught at the rather pleasantly packed JKS England Christmas Course. 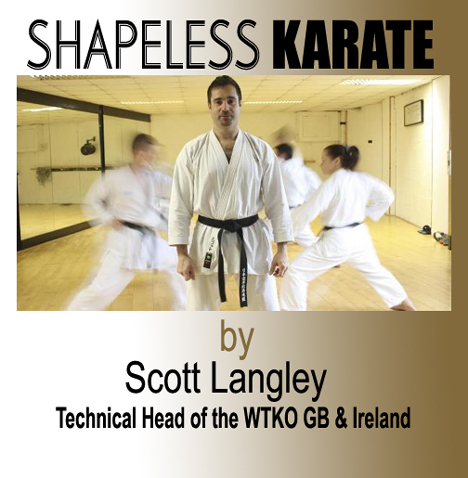 After a bit of “dynamic on-the-spot basics”, SKM’s very own Claire Worth sidled up beside me and said “great class, how about an article, “Shapeless Karate””… So here it is! The first clip is of Tetsuhiko Asai Sensei performing Heian Nidan, the second is of Junior Lefevre Sensei doing the same. Obviously, there is an age difference between these two sensei, but even taking this into account, is it possible to decide who is best? Of course, in a competition context, Junior Sensei is the best. One of the greatest competitors ever to grace the WKF arena, he is still in great demand as a coach throughout the world and is a truly great athlete. Asai Sensei, on the other hand, was a pioneer and innovator of karate. 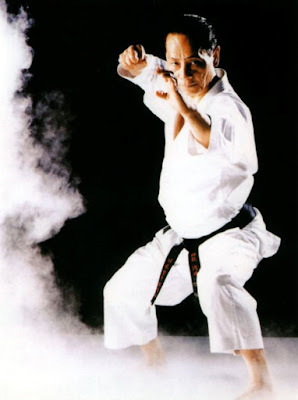 Chief Instructor of the JKA and then founder of the JKS, he is arguably one of the most influential karate-ka of the last century. However, externally, Junior Sensei moves faster, more dynamically. So from the spectators’ point of view Junior Sensei is the best. However, on many occasional I had the “pleasure” of training, demonstrating and being hit by Asai Sensei. It was like being hit by a white hot blade. The technique would cut through you and linger well after the moment. Asai Sensei’s technique had an element that went well beyond the superficial. I have never had the pleasure of training with Junior Sensei, so I would not like to comment on his karate, other than to say that he moves exceptionally well and has reached the pinnacle of competition karate. However, I think therein lies the problem. When karate is accessed by spectators (albeit trained judges and referees) karate will inevitably migrate into making shapes. At this point I would like to point out that I don’t wish this article to deteriorate into a messy discourse about Competition Vs. Traditional Karate. Firstly, within Shotokan, I don’t believe there is anything we can truly call “traditional” and, secondly I believe that WKF and competition karate is often the vanguard of training methods within our style. So let me describe exactly what I do mean. On the course mentioned about, I will describe what I taught and explain my rationale behind each of the three exercises – although, all we really did was gedan bari then choku tsuki from shizentai. Exercise 1. Start in shizentai and block gedan bari at a 45° angle. Then, in the same direction, punch choku tsuki, although the use of the hips resembles gyaku tsuki. From this point, repeat the simple combination in the opposite 45° angle. Whilst performing these two simple techniques, the focus point should be the use of the hips and shoulders. The techniques should be a manifestation of the internal movement, rather than the sole focus of the training. Therefore, when preparing for gedan bari, make sure the hip is rotated to the maximum in the direction of the block (so if you are about to block with the left hand, ensure the right hip is rotated forward, contracting the left hip). At the same time, engage your pectoral muscles, squeezing the shoulders forward in preparation for the block. However, these points of contraction, by their very nature, are fleeting and momentary. As soon as maximum contraction is reached, the hips and shoulders are released to create the snap of the block. Then at the moment of kime with the block, the right hip and shoulder are contracted back with the hikite. This point of contraction is, again, fleeting before releasing it for the punch. Exercise 2. Superficially, the techniques are starting to change, however, the internal body mechanics remain the same. Instead of focusing heavily on the preparation of the gedan bari, whip the blocking arm from the previous punching position directly into the block. If the arm is relaxed (like any whip) and the movement is started from one’s centre, the arm should follow a general gedan bari preparation position. However, the fleeting contraction points, as mentioned above, have been further internalised. The resulting action should be a fluid, dynamic block, followed by a standard punch. karate, just try to perform the same fleeting internal contractions and expansions and allow these movement from the centre to create external power. 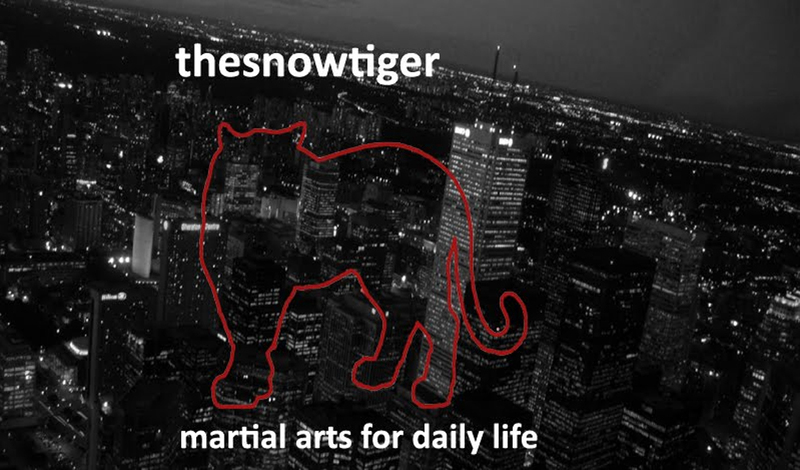 Muscle memory will probably insist that you make the shapes of karate, forcing the blocking hand up towards the shoulder in preparation for the block, or the punching hand to the hip as you initiates the punch, however, resist the urge. Power can be created from any position as long as the internal body mechanics remain the same and the arms are connected to your centre. Once fluidity has been achieved it can easily be applied to a partner, just make sure you are trying to use those simple contraction and expansions of the hips and shoulders to moves your mass at speed – after all this is the only way to create power! So what are we trying to do in karate? Kumite is great for teaching us how to move, read an opponent and manage a fight. However, kihon and kata, done correctly, teach us how to create power. Without this understanding, karate is simply about making shapes. Steve Ubl Sensei once said “there is no such thing as basic techniques, only basic principles”. A very succinct and very accurate statement. In many dojo around the world I see people trying to make shapes that others will judge. Of course, this is not only inevitable, but vital as one progresses through the grades. However, you must reach a point when this is no longer the goal. We must all make sure that technique is only an external manifestation of internal movements. Shapes are a result of karate, not karate itself. In conclusion, I remember the first time I accompanied Kagawa Sensei to England. 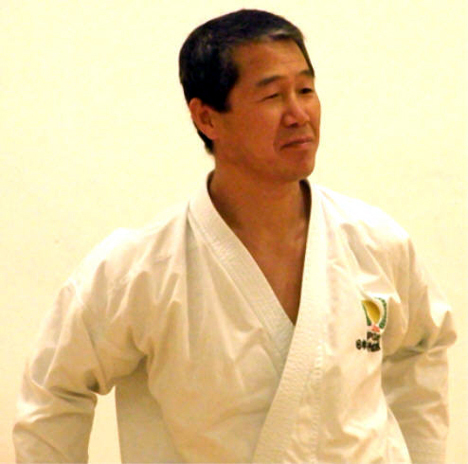 John Cheetham, editor of this magazine, had invited Kagawa Sensei to teach in the UK. I was on the instructors’ course in Japan at the time and so tagged along to translate. Over dinner John spoke about a debate that had arisen in articles and letters of the magazine regarding whether one’s heel should be up or down when punching gyaku tsuki, and how this effects power. John asked Kagawa Sensei what his thought were on the matter. Kagawa Sensei shrugged, he had no real opinion. I think he eventually said that is depends on the situation – “case by case”, as the Japanese are found of saying. 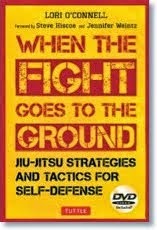 Sensei and I spoke afterwards and I commented on how I had never even thought about the whole “debate” regarding heel up or down when punching. Kagawa Sensei said “me neither”. The point is, is that any external movement is a result of internal actions. When punching, one must move one’s centre (one’s mass) at speed to the direction of the target. This target may be close, it may be far. So the act of moving forward a small or greater distance will affect the external manifestations of the technique – however, although the shapes that are produced may be different, the fundamental principles remain the same – this is exactly what Kagawa Sensei meant when he said “case by case”! This article was originally written for a magazine. Many thanks to Sensei Langley for allowing me to post it. Luckily, we will see many more articles from Sensei Langley in the future.